20-year old wordsmith wifisfuneral has signed a record deal with Interscope/Alamo Records. The South Florida rapper announced the deal on social media over the weekend. 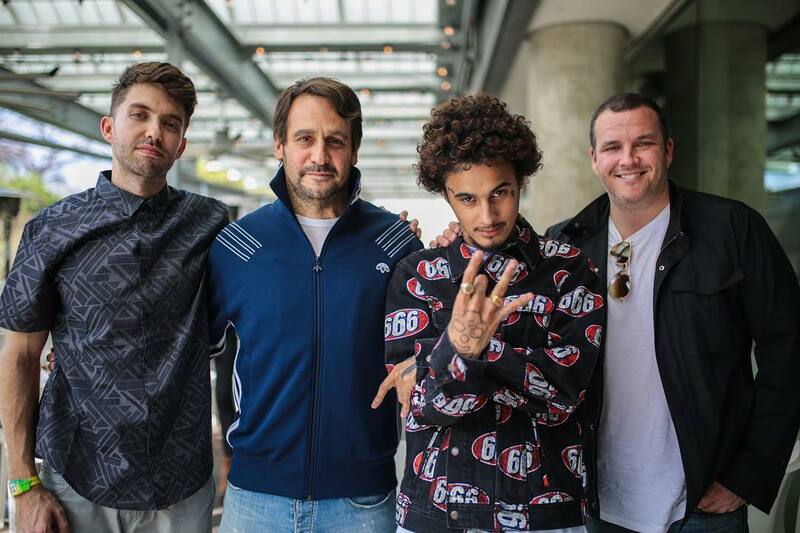 By inking a deal with music industry executive and Alamo Records founder Todd Moscowitz, wifisfuneral became the first artist to sign out of SXSW, where he performed on seven showcases during a five day span. Showcasing acclaimed tracks such as the FADER-premiered emotive “Luv Me Never” and the Beats 1-debuted “Lost My Mind,” which features an appearance from fellow rising star Kembe X, When Hell Falls is a Neil Armstrong-type moment for the young rapper, stepping forth unencumbered by gravity. Released by wifi’s own Rich Life Records and distributed by EMPIRE, When Hell Falls exploits the inertia of last year’s Black Heart Revenge, a gloomy collection of turn-up anthems, which charted at #69 on the iTunes Hip-Hop chart with little promotion and led to the Black Heart Revenge Tour, wifi’s first headlining national tour. With 20 million+ streams and over 150,000 followers across platforms, wifisfuneral will look to grow his rabid fanbase even further in 2017. Catch wifisfuneral at Miami’s Rolling Loud festival in May, alongside Kendrick Lamar, Future, Lil Wayne, and more. In just one year, nineteen year old South Florida rapper wifisfuneral has taken his dark sonics, mature-beyond-his-years lyrics, and trunk rattling bass from the streets of Palm Beach to the world, amassing over 18 million streams and over 150,000 followers across all platforms. wifisfuneral’s growth has been organic and cult-like, with his fans spreading his music like wildfire with each and every release. With virtually zero promotion other than his social media presence, wifisfuneral’s most recent mixtape Black Heart Revenge (May 27th, 2016) reached #69 on the iTunes hip-hop charts despite being available for free. When Hell Falls, wifisfuneral’s next project, hit stores on January 27th and this time around, peaked at #17 on the iTunes hip-hop charts.